Our 20th Anniversary celebration continues with the release of a new live album! More details TBA! We’re doing an hour set outside of Wildflowers in Armory Square! Come enjoy some music and shop some local art! Is everything a joke to you?!? Our second year performing to benefit a wonderful charity; Cause For The 'Cuse. All proceeds go to purchasing musical instruments for school districts that need them. Hey kids. Friday November 16th we're recording a LIVE ALBUM at Shifty's Bar & Grill! This show will be a little different than normal. For our first set we will be focused on recording songs for the album. There will probably be additional time between songs, extra tuning, and discussions with our recording engineer. We may even play some songs twice to ensure we get what we want. After that's done we'll take a break and get back to playing a crushing killer set of songs like normal! Bring some huge energy and loud voices! See you there! Next month will be the 20th anniversary of our band, and we’re not letting it go by unnoticed! Playing music together has been a defining part of our lives and the fact that we’re still doing it after so long is worthy of some celebration! So that’s what we’re going to do! We’re planning to celebrate this anniversary throughout the year, in a variety of ways. You can expect new video content, merch giveaways, more live streaming, and …drum roll… THE RECORDING AND RELEASE OF A NEW LIVE ALBUM! The recording will take place November 16th at Shifty’s and the release party will be at Funk & Waffles on May 3rd. More details to come! Not a lot of bands make it to 20 years, and we certainly couldn’t have done it without continued support from our wives, families, fans, and each other. (Huge shoutout to Dave Piwinksi, Brandon Hall, and Chris Zarpentine for being a part of this long ride) We’re excited to be crossing this landmark with all of you, and looking forward to more fun and great music in the years to come! See you soon! Hey website people! Sorry we haven't updated this space in a while. We've been singing and strumming and blowing and bashing pretty consistently for the last few months in promotion of our new album, 5! Now summer is here and we're taking a bit of a break to catch our breath and make plans for a huge fall! Follow us on facebook and instagram for more regular updates! 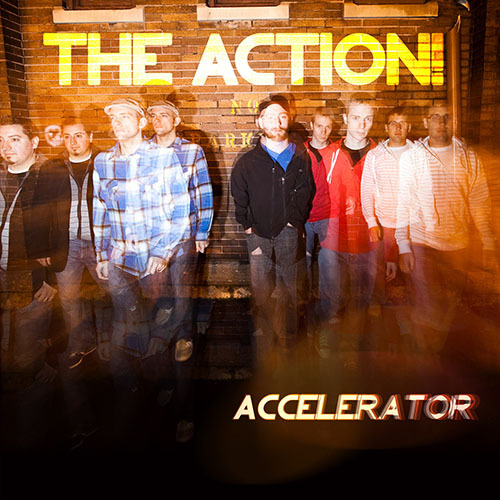 With the release of this full length album by The Action! 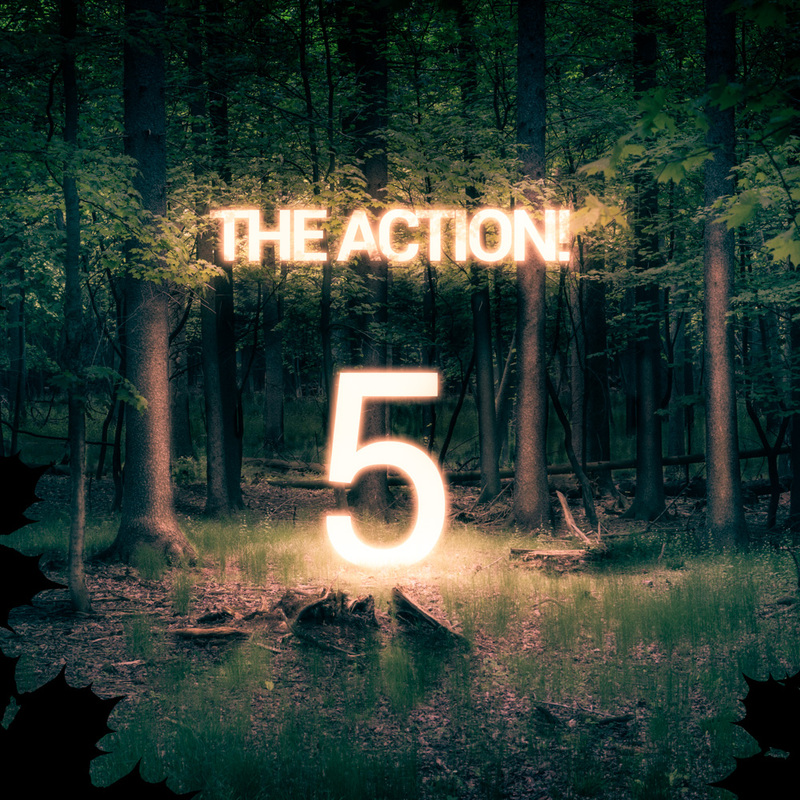 titled "5", listeners and fans will notice a slight shift in the sound and style. This album includes more care-free and just plain fun tracks, like that of Summertime, I Dare You To Kiss Me and Good Old Time. This 4 song EP was released exclusively on 7" vinyl through LRS Records. We're keeping the costs up here because frankly we'd rather you buy the vinyl. We think the songs on this album are really good. Merry Christmas to Christmas and to all a good Christmas! 2009 Syracuse Area Music Award winner for Best Metal/Alternative Album. We know you're impressed. The Action! is an innovative rock & roll band from Syracuse, NY. Their music is influenced by a wide range of genres including rock, pop, punk, jazz, reggae, and ska. Formally known as Skatos, The Action! formed in 1998 and quickly gained a devoted following throughout the region. During their career, The Action! have released 4 full length albums, 5 EPs, and been included on a number of compilations. The band received 2 Syracuse Area Music Awards after being voted the People’s Choice – Best Band in 2008 and being given the 2009 Best Alternative Album award for their album Exploding Radio. Their vinyl EP, Monumental Instrumentals, was also nominated for Best Alternative release of 2015. The Action! includes: Mike Gibson (lead vocals/guitar), Chris Nolan (trumpet/vocals), Craig Chamberlain (drums), Adam Carkey (bass), and Dan King (trombone). Each member brings extensive musical knowledge and ability to the band. Together, they produce a fantastic sound, a high energy level, and a contagious excitement during any performance. 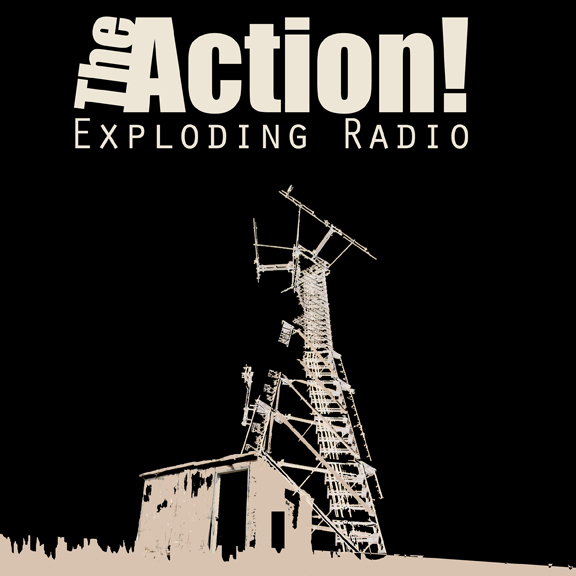 The Action! has shared the stage with Gym Class Heroes, Reel Big Fish, The Toasters, The Pietasters, Big D and the Kids Table, Suburban Legends, Jimmies Chicken Shack, The Planet Smashers, and The Sheila Devine, among countless other talents. On stage, the band delivers a tight, adrenaline-fueled performance that has remained unparalleled by their musical peers. 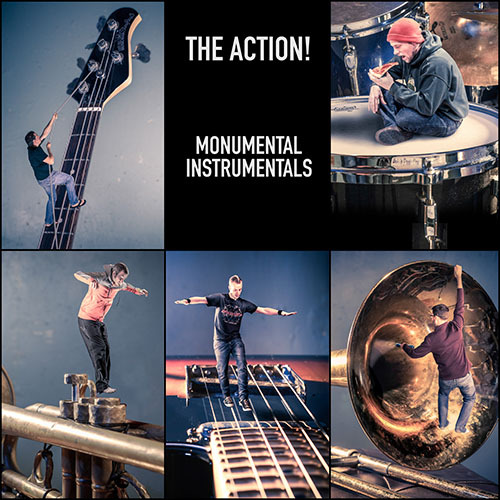 Their most recent release, Monumental Instrumentals, was released on 7″ vinyl through LRS Records in November 2015. It’s awesome. 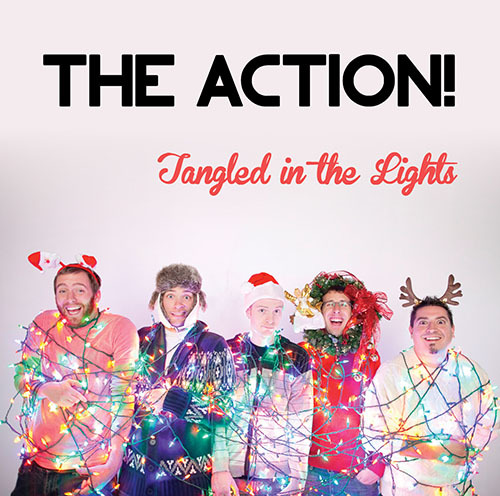 Admin Copyright © theactionband.com. All rights reserved.